Yes, Western colonialism often takes truly bizarre, surreal, forms. What example should I provide, to illustrate ‘magic imperialism’? 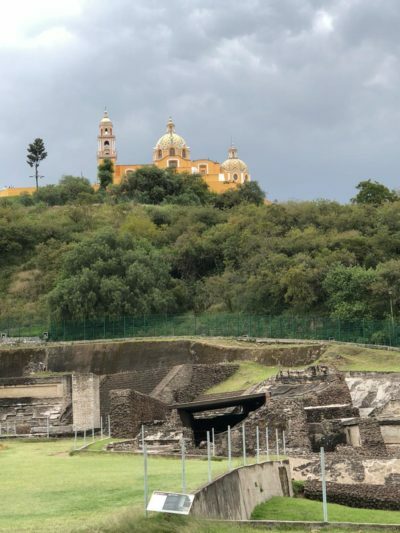 For example, this one: in Cholula, near the city of Puebla, Spaniards slammed their church on top of the biggest (by volume) pyramid on Earth – Tlachihualtepetl. It is still sitting there, even now as I write this essay: the church is sitting on top of the pyramid, unapologetically. Local authorities are even proud of its presence, promoting it as a ‘major tourist site’. I hope, one day, UNESCO includes it in the “memory of humanity” list, as a symbol of cultural vandalism. In the past, the church had been hit and damaged by lightning, on several occasions, and the local people believe that it happened because of the wrath of local gods, who were protesting against the desecration of their site and an architectural masterpiece – the pyramid. 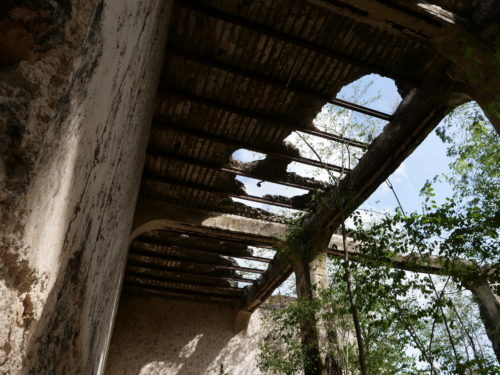 However, the structure was always quickly restored by the religious and state authorities. The church still dominates the landscape, visible from as far as the city of Puebla, while the grand pyramid looks humiliated and belittled, like nothing more than a forested hill. It is one of the greatest countries on Earth. In fact, it is not just a country, but a universe, not unlike those ‘universes’ created by other great countries, like ‘universe China’, ‘universe India’ or ‘universe Russia’. Mexico is ancient and deep, and as mentioned above, it gave birth to some enormous civilizations, which were self-sufficient and much more advanced than the cultures of those who came to attack it, to plunder and enslave it. I was filming a documentary here, with the working title: “Mexico – Year Zero”. It was not a binding title, but I was getting used to it, it was somehow fitting. All over Mexico, there are reminiscences of the Western ‘involvement’, or should I say ‘monuments of barbarity’. Often, one has to search for them, or even read between the lines, in order to identify them. Then the French massacred people in Mexico City, as well as all over the territory that was left to the Mexicans after the 1846-1848 U.S. invasion. 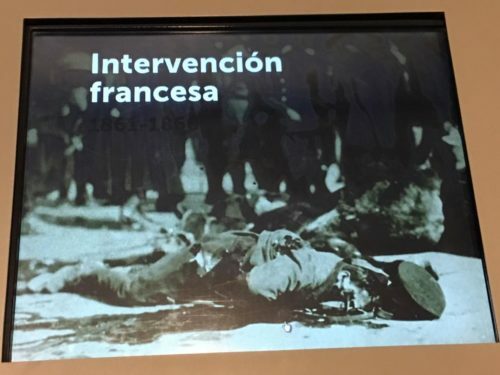 The French ‘intervened’ in Mexico on two occasions: from 1838 to 1839, and from 1862 to 1867, in which conflict, at least 12,000 Mexican people were killed. The French were killing, plundering and imposing their dictate, shamelessly and mercilessly, but that was not really ‘something exceptional’, as they were doing precisely the same, or worse, all over Africa, Asia, the Middle East, Caribbean and Oceania. Now, right at the northern part of the enormous city of Tijuana, the U.S. authorities and their contractors, are building an enormous wall. It does somehow not look unlike the ‘perimeter’ built by Israel, between the occupied Golan Heights and Syria proper. But then, many things look suspiciously similar, these days. This wall is a clear expression of a thorough imperialist madness. This entire land used to belong to Mexico, before the 1846 invasion, or call it ‘officially’ Mexican-American War. Both countries are part of one continent. Both sides of the border are inhabited by essentially the same people. 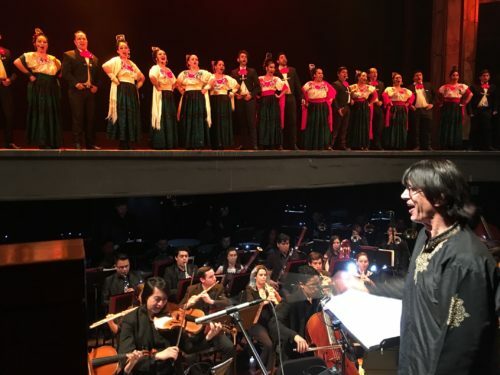 There are millions of Mexicans living in California, and there are millions of North Americans who are seeking better life south of the border – in Mexico – either in the retirement colonies, or, for instance, as students at much cheaper and good Mexican universities, or as artists. 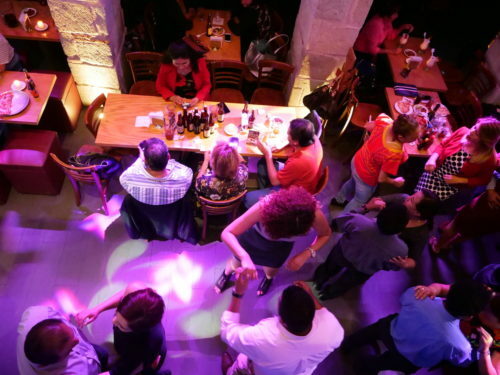 North Americans travel to Mexico to get their teeth fixed, Mexicans go north to get better paid jobs; the border area is basically an integrated zone, with its own music, traditions, history and folklore. I know it well, and I know that it used to have its own magic and, yes, its realism too. I know, mostly it is not Mexicans who are trying to jump the fence. The majority of Mexicans are middle class, and the middle class lives a better life here than in the constantly stressed and overworked U.S. 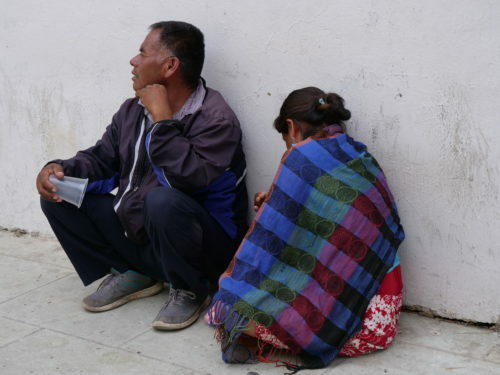 It is those desperate people from Central America who are risking their lives, crossing – from Guatemala, Honduras – people whose governments were overthrown by Washington, people whose countries were destroyed. People who are suffering from gangs and narco-mafias – direct consequences of the civil wars triggered by the West. 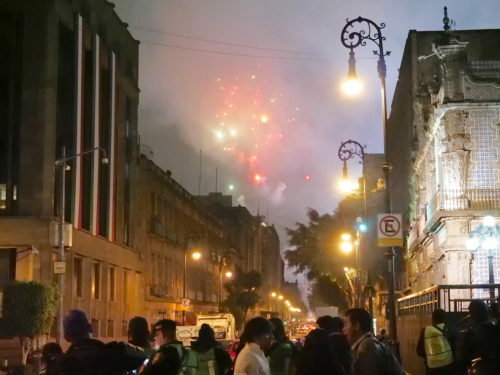 Independence Day in Mexico City 2018 — new beginning? This article was posted on Wednesday, October 31st, 2018 at 9:39am and is filed under Culture, Donald Trump, Drug Wars, France, Genocide, Guatemala, Honduras, Imperialism, Land ownership, Land Use, Mexico, Neoliberalism, United States.